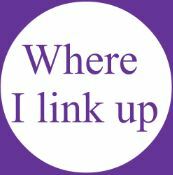 At this busy time of year, I hope you can spare 5 minutes to rest your feet and catch up with a few seasonal articles. Compare the 'Then and Now' of Downton Abbey ladies, and pick up a few makeup tips from the 'master' that is Bobbi Brown. Still stuck for a gift, take advantage of the cheapest and best Color Analysis on the Internet with my special offer Gift Vouchers - only until Christmas Eve! The Ladies of Downton Abbey Then and Now! We've all fallen for the incredibly successful Downton Abbey - and particularly the ladies from the series. Over 200 countries have now had the opportunity to view this stunningly rich period drama on the TV but, sadly, it reaches the final episode here in the UK on Christmas Day. Although I'm sure we'll be seeing repeats for a while yet! It may seem a romantic bygone age of great wealth but there was also severe hardship. Your 'station in life' was purely down to the accident of birth - whether you were Upstairs or Downstairs! Bobbi Brown - 3 mins of makeup tips, years off your face! Looking to step up your style on those Holiday walks? 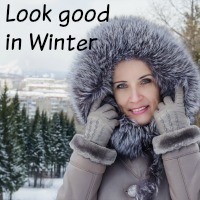 Wrap up well, feel good and look fabulous - make sure you do yourself justice and be ready for the Winter chills that are on the way. Finding it difficult to translate the light and vivacious shades of Spring into a Winter coat? When you've exhausted the beige and the camel; the winter white just isn't practical and the black is taboo - where do you look next? We don't always want sophisticated, don't always need elegant - there are times when we want some 'fun' color in our lives and what better time than the 'wrap up warm' days of Winter. QUESTION: Can you help me to identify some of the tonal qualities in the Color Circles? Some are not so obvious to me. This is the area I get stumped in defining my pallette. Please advise! thank you so much. 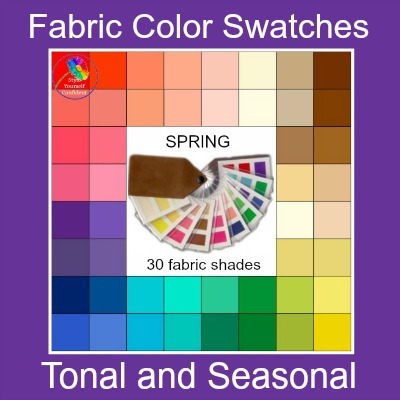 I've recently had the pleasure of analyzing Joy's colors who had, some time ago, been categorized as a Summer. 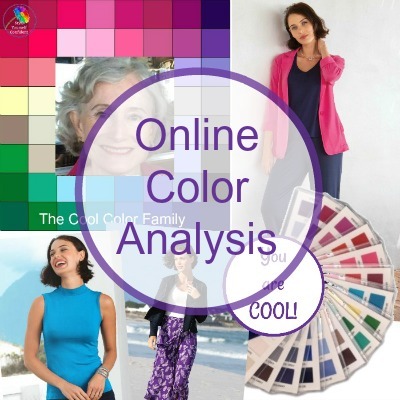 Color Analysis - getting it right! 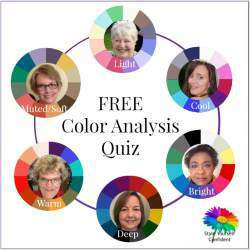 Color Analysis (when used correctly) will identify a color palette that creates harmony with your natural coloring. 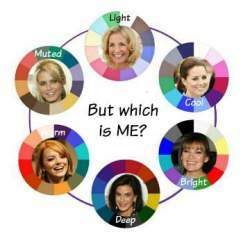 While the colors in the Cool Summer circle (left) drain the natural warmth looking harsh, the Warm Deep palette fully complements the complexion and is strong enough to balance the high contrast between her features. Color is also instinctive - Joy already enjoys the Warm Deep shades in her home! Like to join the Style Yourself Confident Group Board on Pinterest?